Ducati lima sent a new bolt and brake pads for the rear, overnite. 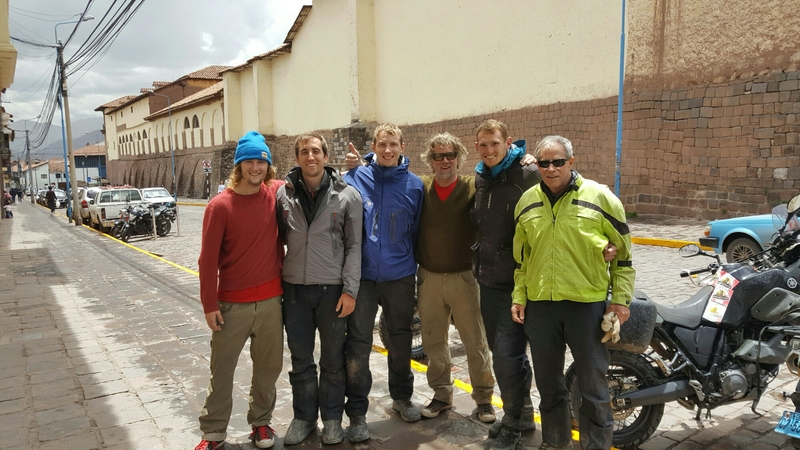 We met this group who rented bikes in cusco and went out for their yearly trip on bikes. We did the west road out of Espinar, but we rook their advice and went between the volcanoes into Arequipa, they said it was Sandy but that was the easy part. Minimal visibility due to fog, which made navigating all the washout a bit more challenging, but we very much enjoyed the road.